​Panther Partners is in need of volunteers! ​Much of the work can be done from home on your schedule! ​Please Contact Us and/or come to our next meeting. Note: SignUp.com does not share your email address with anyone. If you prefer not to use your email address, please contact Ashoo Jain at ashoojain@hotmail.com and she will sign you up manually. ​​Assistance is needed in the Copy Room making copies for teachers. We will train you! This helps out the entire staff. They really appreciate our time! ​Please contact Andrea Schainen, 310-617-3006 or aschainen@gmail.com. 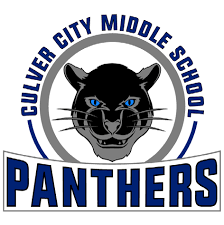 CCMS is looking for parent volunteers to help out at lunch time to be yard duty volunteers. It would add more adult supervision on campus for the 1,700 students eating lunch! If interested, talk to Lelah or Elsy in the office. All on-campus volunteers need to be cleared with the district. This includes live scan / fingerprinting and TB testing. Here is the volunteer packet. If you did this at one of the elementary schools, the clearance transfers, but CCMS still needs the volunteer packet paperwork.